Next month, DunnMedia and the Euthanasia Prevention Coalition (EPC) are set to release a groundbreaking documentary that examines the dangers assisted suicide laws pose for vulnerable patients. In the United States, six states and the District of Columbia have passed assisted suicide laws, and many other states are considering such legislation. Around the world, Belgium and the Netherlands have some of the most expansive assisted suicide laws. In recent years, Canada has enacted assisted suicide legislation, and many other countries are debating whether to follow. 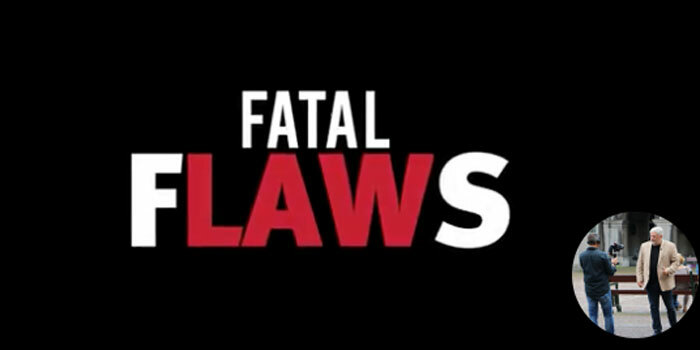 Fatal Flaws is a documentary examining how these laws affect the lives of real people. With the continued spread of assisted suicide legislation, there are more personal stories showing the effects of these laws. The stories show the inherent dangers of laws that sanction what before now was legally homicide. Fatal Flaws director, Kevin Dunn, and his team traveled around the world to interview people on both sides of the issue. Leaders of the euthanasia lobby are having second thoughts in the face of shifting cultural attitudes toward euthanasia; family members and survivors have witnessed the oversights in assisted suicide laws that put people at risk for deadly discrimination and abuse. In sharing these different perspectives, Fatal Flaws offers an unprecedented look at how assisted suicide laws endanger people’s lives. Fatal Flaws is not the first time DunnMedia and EPC have collaborated. In 2016, they made the documentary The Euthanasia Deception, which Schadenberg says “did very well and was an incredibly professional production but it was limited by the fact that it was clearly an advocacy film opposing euthanasia and assisted suicide.” From the experience of making that documentary, the idea for Fatal Flaws, a film examining the inherent problems with assisted suicide legislation as seen from both sides of the debate, was born. Director Kevin Dunn’s passion for the subject matter is well known, so DunnMedia and EPC were logical partners for this second documentary interviewing advocates on both sides. The team found stories from people in many different countries, offering a broad perspective of the issues. For more information about Fatal Flaws and screening the film in your area, visit the film’s website.